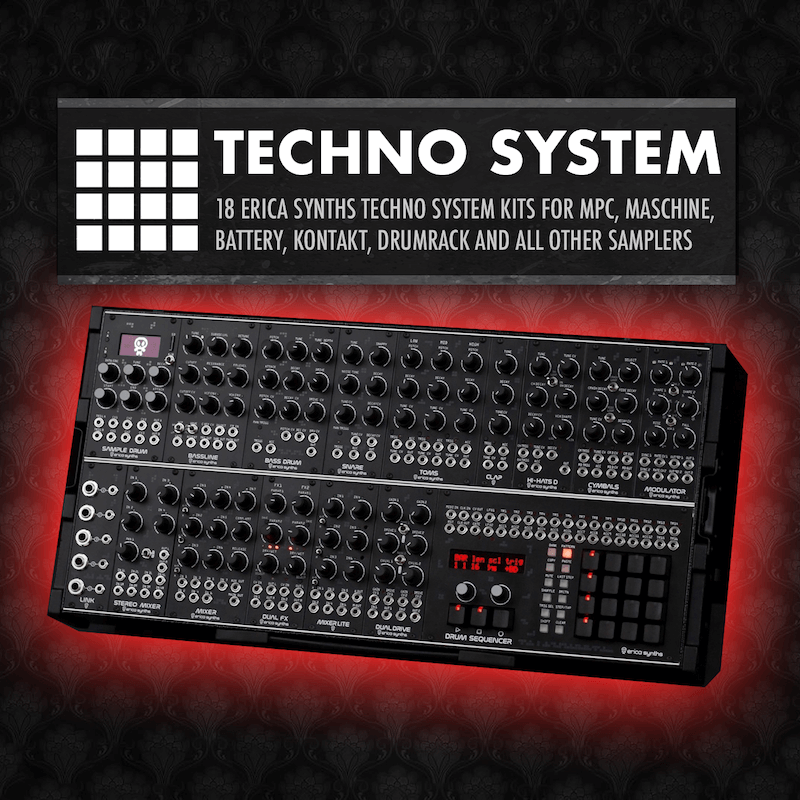 Last year, Erica Synths introduced the Techno System, a set of 15 modules put together as one of the most advanced techno/industrial music performance instruments. If you can’t afford such beauty but you would still like to add its character to your tracks, German electronic musician and sound designer Marco Scherer has released a new, extremely affordable Techno System sample pack. Marco added some extra modified kits, intended to be used for the specific styles. The kits come with ready-to-go presets & patterns for Maschine 2, Studio and Jam, Kontakt 5+, Battery 3+, Geist, Geist Lite and Ableton Drumrack. Plus the open SFZ format, and you can drop the drums into any sampler as well. You can get the Techno System pack for 8.99 Euro at Drum Depot: http://drumdepot.marcoscherer.de.